It’s music to my ears and a symphony to my soul. Nurses may finally be coming around and grasping the gravity of how vaccines are damaging our bodies. A study in Vaccine shows that nurses trust in health authorities and vaccination is at an all time low following the H1N1 flu pandemic that was ultimately proven to be a hoax. The 2009 H1N1 pandemic fraud perpetrated by health authorities worldwide seems to have backfired on those orchestrating the plot. Instead of reinforcing the “claimed” effectiveness of vaccination, it only created more doubt even within conventional medical practitioners themselves. The study in Vaccine titled “What lied behind the low rates of vaccinations among nurses who treat infants?” is evidence of a growing resistance to vaccinating infants in the developed world. What is unfortunate is that many of these nurses refuse the vaccinations themselves, yet proceed to administer these poisons to infants to protect their employment. That is quite cowardly, contradictory and at the very least shameful, not only as a health practitioner, but as a human being. The aim of the study was to identify the barriers and reasons why nurses did not vaccinate themselves against pertussis despite the fact that the pertussis vaccine is the vaccine these nurses administer to infants every day. Two major and two minor themes were identified based on qualitative methods as described in the literature. that had no respect for them as individuals. The nurses expressed strong feelings against the Ministry of Health’s (MOH’s) recommendation for Health Care Workers (HCW’s) to be vaccinated. They do not want to be told what to do and want to make the decision themselves. be given the opportunity to decide for themselves if to get vaccinated. Many nurses felt the information they received was not adequate and did not answer their needs. They felt the information they received did not help them counsel families or make decisions regarding their vaccinations. This was in the context of their mistrust in the MOH. between nurses started in all focus groups. The nurses reported on their experiences of side effects of vaccines. They felt that the risk of contracting the diseases and the severity were not worth the risk of being injected with a vaccine that was not in use long enough to know what the side effects were. This was directed towards both influenza and pertussis vaccines, and they felt the authorities were using them as guinea pigs. I have no doubt that we will see the end of vaccinations one day and it will be exposed for the barbaric practice that it is, especially on infants and children. The antivaccinationist ideals the nurses expressed are an indication of the resistance within medical circles. Emotions and attitudes such as fear of the vaccines and mistrust in the health authorities and leading factors in lower compliance rates. These attitudes and emotions may influence their actions toward other vaccines in the future. 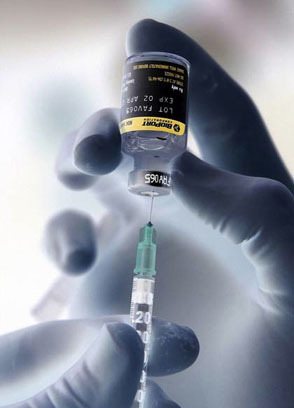 Eventually physicians and medical students themselves will begin to question vaccine wisdom. The house of cards is crumbling and the vaccination hoax health authorities have promoted to the population is being exposed. If still believe in vaccination to prevent disease, I promise that one day you won’t!